The hammocks are a really fun way to spice up your yoga practice, to increase strength, flexibility, and tone, as well as enhancing your yoga practice, as you basically have a yoga teacher supporting you through your poses. The benefits of Aerial yoga are tremendous; regulating organs, blood pressure, inversions are easily available to everyone, so you can up-level. It is also not as serious as yoga in the traditional sense. Feel uplifted, feel light and gorgeous, feel new and refreshed. It is an amazing practice to include into your life, as well as that of your whole family. Kids LOVE them and are entertained for HOURS! 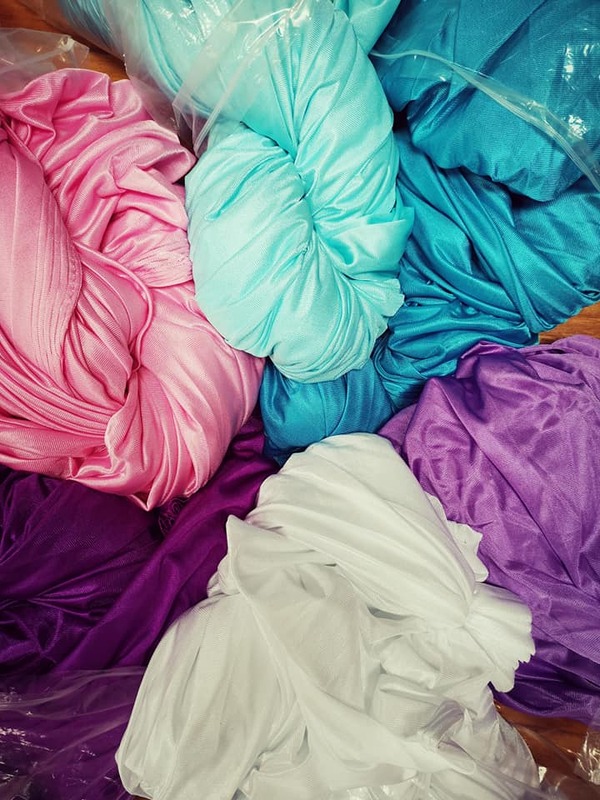 This is the standard fabric that is used for aerial yoga & silks all over the world. An amazing way to play on the beach! more stretchy fabric and half the width of premium. Great for kids & beginners. Custom Orders Available at R100 per metre. Designed to aid in relaxation and increase feelings of serenity, our silky soft eye pillows are infused with lavender for an aromatic calming effect on the body and mind. SA YOGA HAMMOCK SUPPLIES OFfER custom orders of longer length fabric in both premium & standard fabrics.